You’ve tried the rest ... now go for the best! 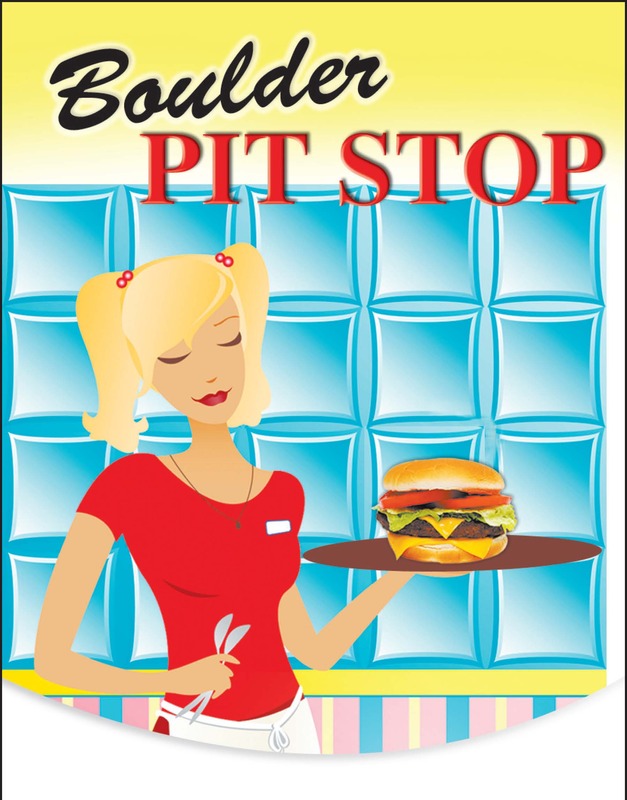 Boulder Pit Stop has been a tradition for residents and visitors to Boulder City for over 30 years. 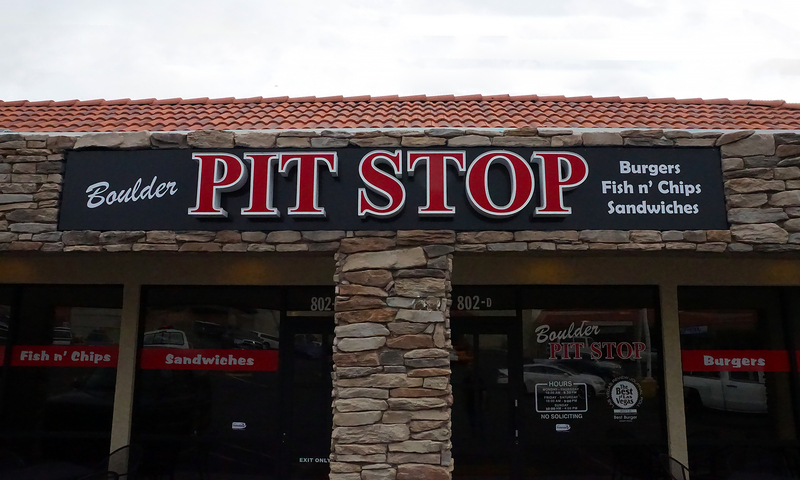 Pit Stop offers award-winning burgers, fish and chips, grilled and crispy chicken, pastrami and turkey sandwiches, hot dogs, salads, and many other tasty options to satisfy every taste. We specialize in combining top quality ingredients to produce mouth-watering meals in a fun, family atmosphere. Whether you want to “dine in” or order your food “to go,” Pit Stop is the best choice to please the whole family. Pit Stop meals can also be ordered “to go,” and your meals can be ready to pick up typically in just 10 minutes. Call ahead and your meals will be ready by the time you get there. To view the menu, click here Cash and major credit cards are accepted phone # (702)293-7080 for “to go” orders. Boulder Pit Stop is one of the “hidden gems” where Boulder City locals and visitors alike love to eat. Pit Stop has menu choices and generous portions to satisfy everyone in the family. They serve hamburgers that were voted “Best of Las Vegas 2012” by the Las Vegas Review-Journal as their “Staff Pick.” Pit Stop’s mouth-watering menu also includes delicious fish and chips, grilled or crispy chicken, turkey and pastrami sandwiches, salads, hot dogs and more! 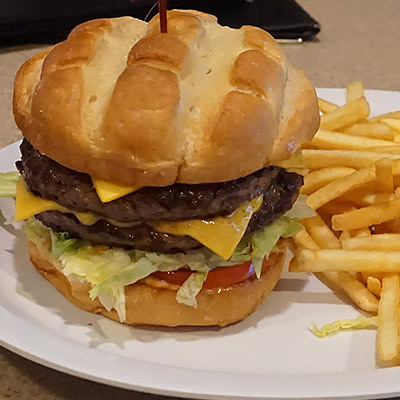 You can bypass the generic burger and sandwich places on Nevada Highway, go up to Buchanan Blvd., turn south at the traffic light, and Pit Stop is your first right just past the bus stop. Veer left as you enter the parking lot and Pit Stop is just past Cricket on your left, across from the $.99 Store. Plenty of free parking is available surrounding Pit Stop. Pit Stop’s flavorful meals can be ordered “to go” or to “dine in.” Eat in our clean and comfortable, newly remodeled dining room, and be served at your table by our friendly and efficient servers. Be sure to ask your server what the current specials are, as they are updated frequently. Once you have experienced Pit Stop’s tasty meals and efficient tableside service with your friends and family, you will have a new favorite place to eat in Boulder City. Avoiding the generic fast food on Nevada Highway never tasted so good!